Two years ago, during the aftermath of police violence and protest demonstrations in Ferguson, Missouri, the nation witnessed a militarized police force, and learned of dismal police-community relations, as well as a scheme resembling debtor prisons. The Department of Justice (DOJ) investigated and issued their report, "Investigation of the Ferguson Police Department". They found practices that were unlawful, deeply-entrenched and unconstitutional: “Ferguson’s law enforcement practices are shaped by the City’s focus on revenue rather than by public safety needs. This emphasis on revenue has compromised the institutional character of Ferguson’s police department, contributing to a pattern of unconstitutional policing, and has also shaped its municipal court, leading to procedures that raise due process concerns and inflict unnecessary harm on members of the Ferguson community.” While the report shows a link between debtor prisons and the prison industrial complex – there’s also strong link to the growing poverty industry as well too. 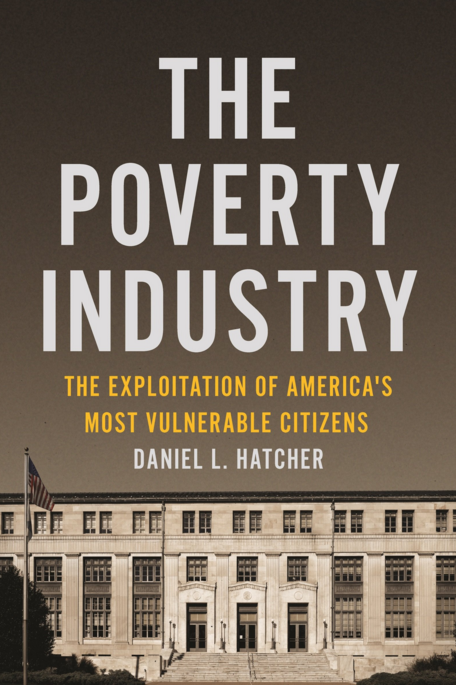 Daniel L. Hatcher has written a new book on this topic called, The Poverty Industry: The exploitation of America’s most vulnerable citizens. Mr. Hatcher recently visited the Busboys and Poets Bookstore and Café in Washington D. C., on June 29th, to talk about his new book. 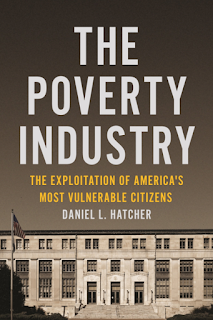 For roughly thirty minutes before a question/answer session, Mr. Hatcher provided a glimpse into the poverty industrial complex and how this massive network manages to divert funds from, who Mr. Hatcher appropriately characterizes as America’s most vulnerable citizens – impoverished families, abused and neglected children, and the disabled and elderly poor. “My hope to getting this book out is to provide awareness because with awareness you have the potential for change. So in the poverty industry, I’m hoping to expose and explain several of these revenue maximizing practices that states and state agencies to use on the most vulnerable populations,” explains Mr. Hatcher.